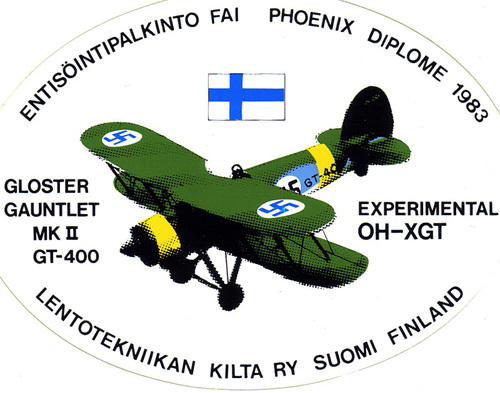 21.06.2005. 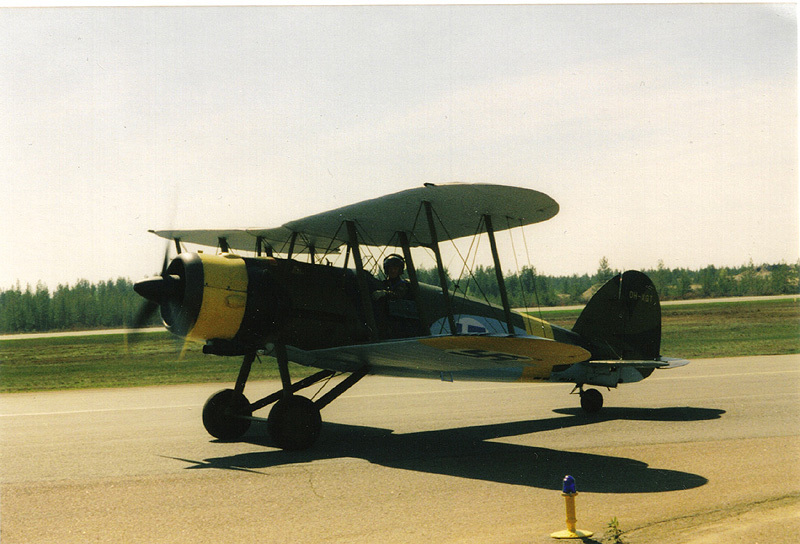 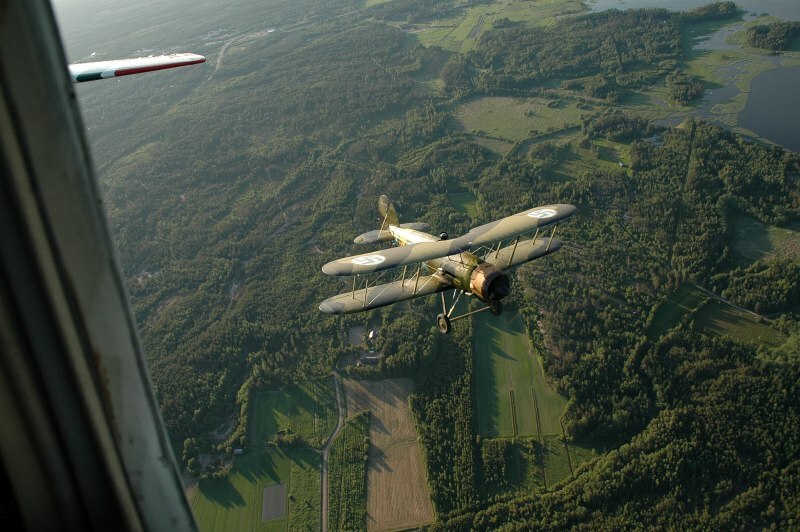 The Gloster Gauntlet takes off again for another summer to biplane fun. 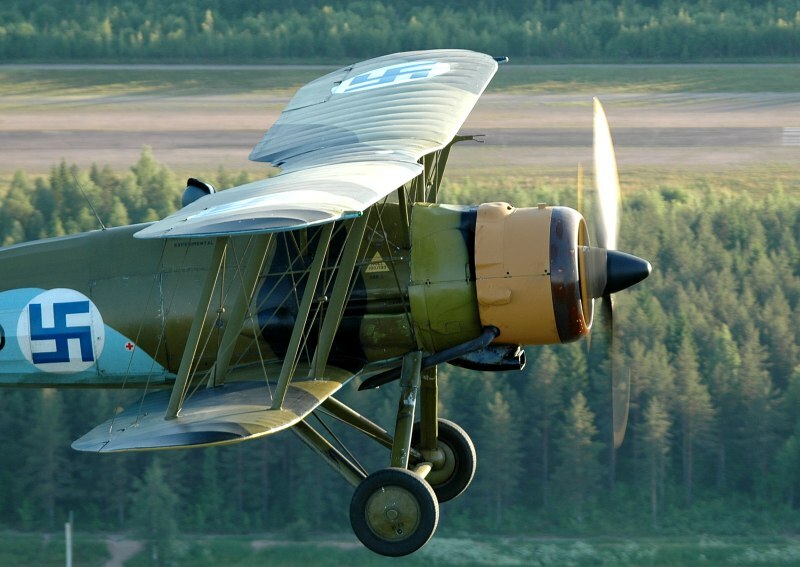 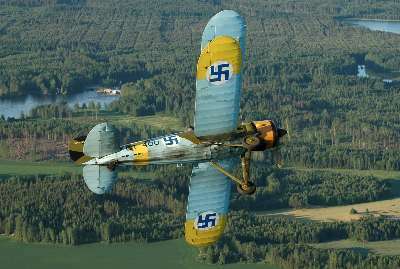 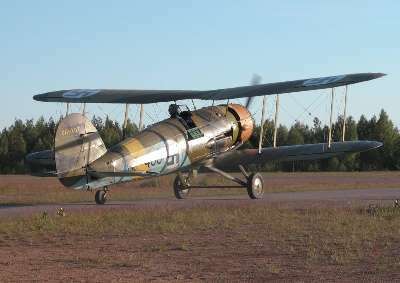 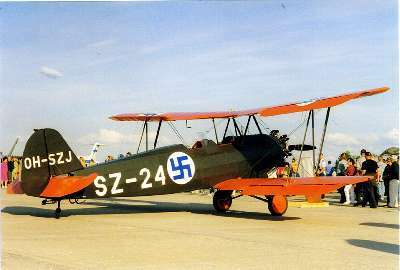 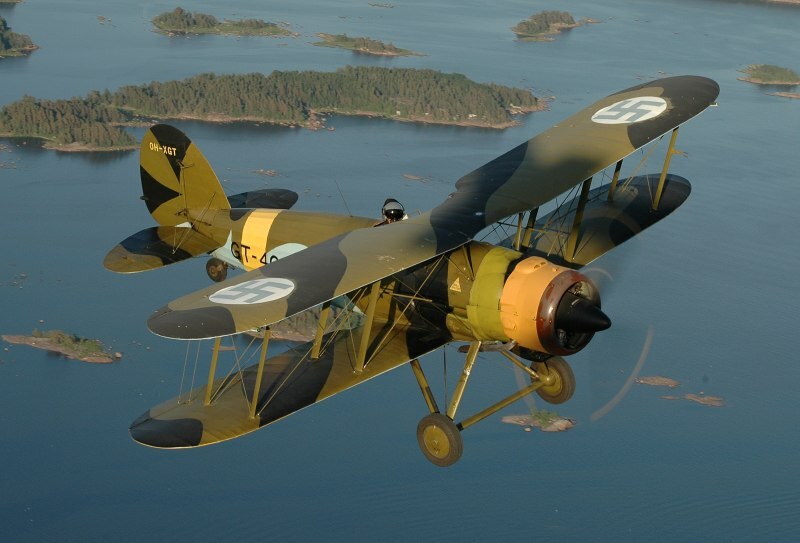 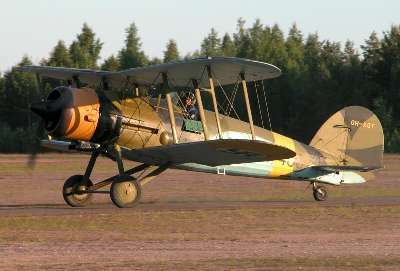 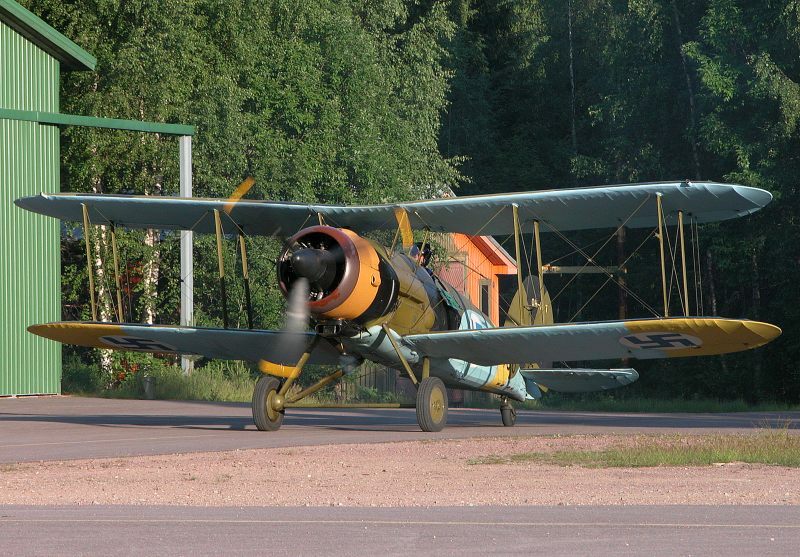 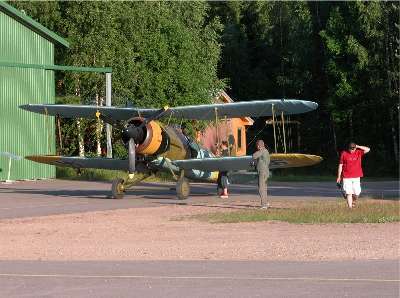 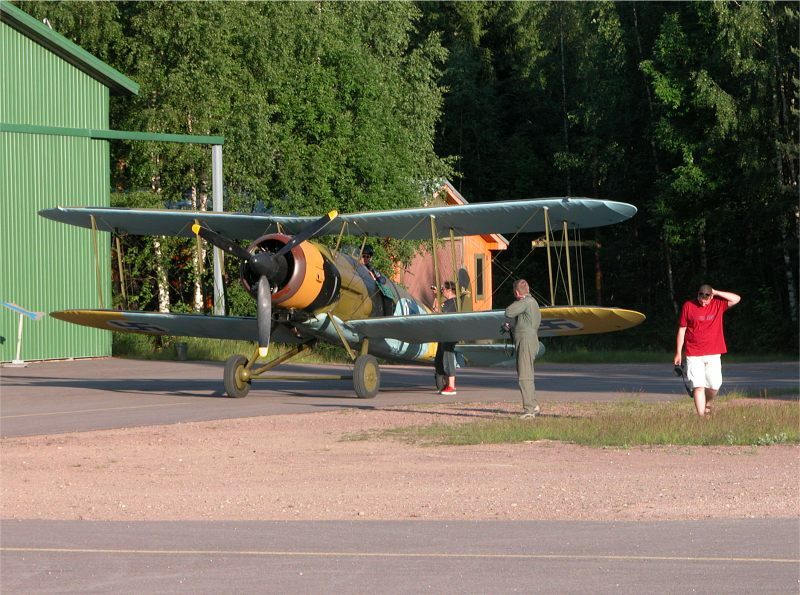 This plane is a restored, authentic Gloster Gauntlet fighter of Finnish Air Force, restored by Lentotekniikan Kilta, flown by the Finnish Air Force test pilot Jyrki Laukkanen. 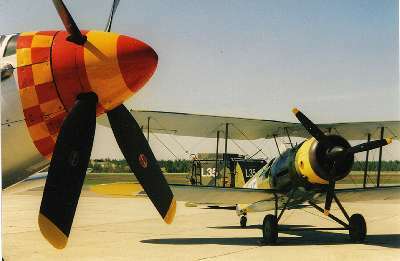 The plane received a restoration prize from FAI in 1983. 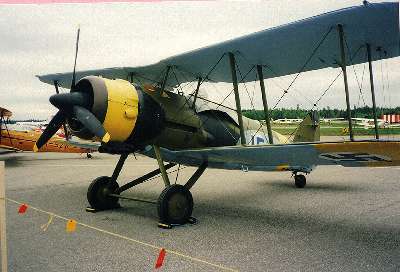 The plane does not have its original Bristol Mercury VI engine, but is equipped with a Alvis Leonides 503. 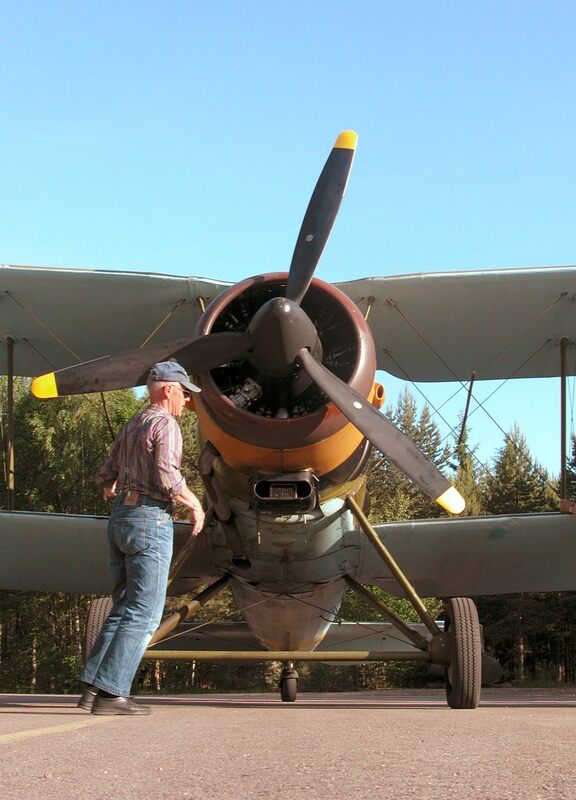 These Gauntlets were gift from the state of South Africa, who bought 29 Gauntlets from United Kingdom after the Winter War started, and donated them to Finland. 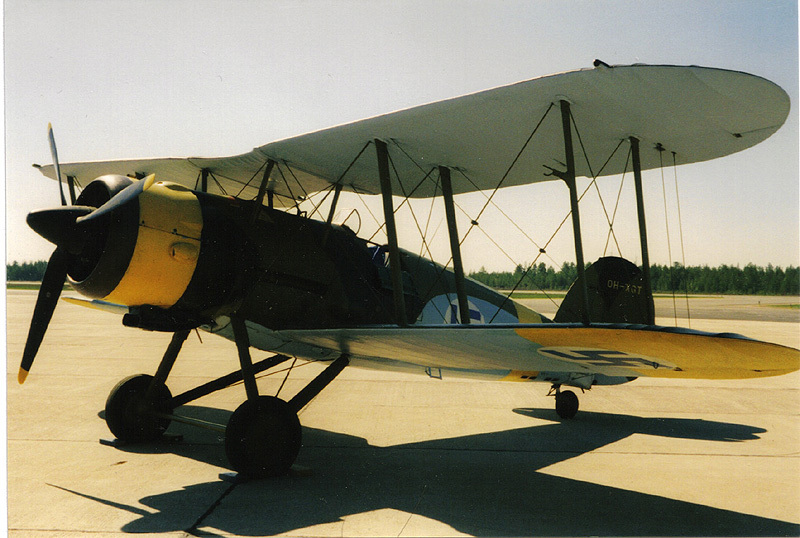 Only 25 were sent from England and 24 were made airworthy. 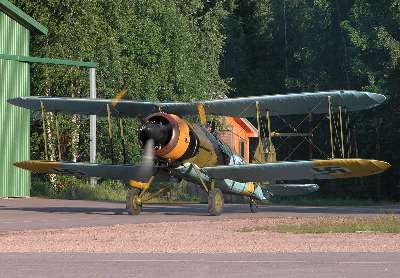 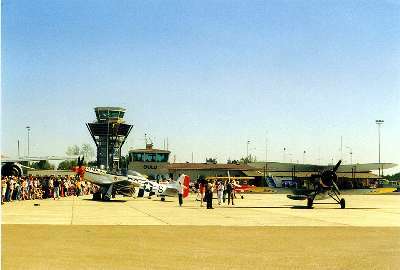 The planes were shipped to Gothenburg, Sweden, and assembled at Centrala Flygverkstaden in Malmslätt. 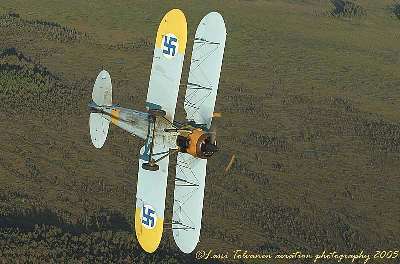 The planes arrived too late for combat and were anyway outdated, so they were used as fighter trainers. 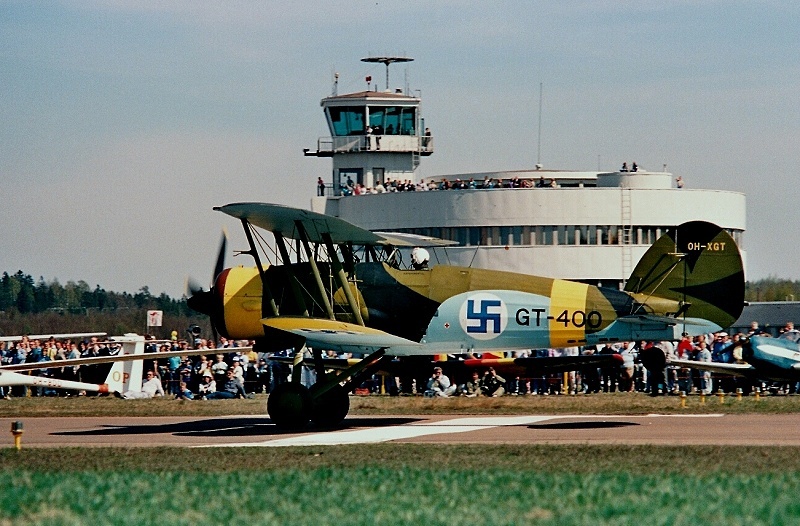 Last flight of the Gauntlets was flown on 18 Feb, 1945. 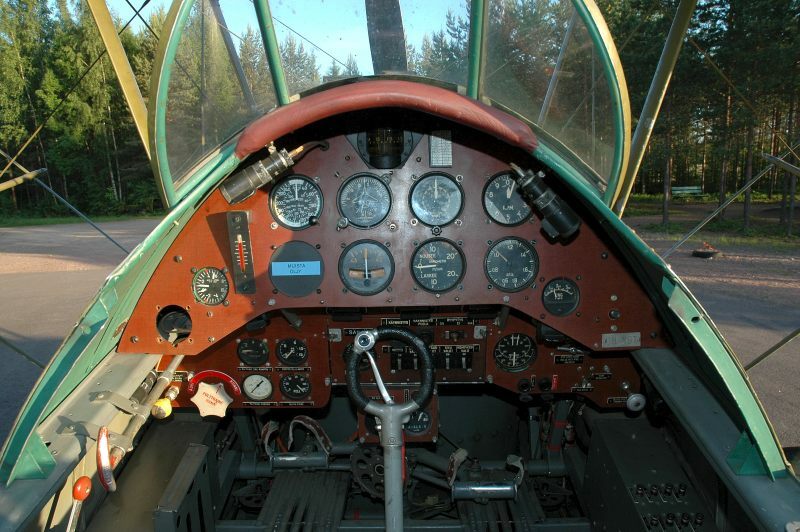 This plane, GT-400, is the only surviving Gauntlet in the world.